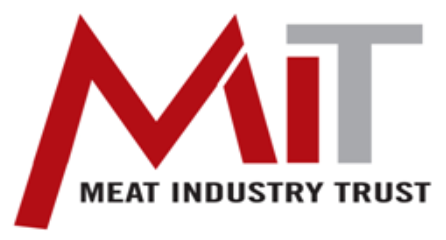 The MIT is a discretionary Trust and is entitled to fund various objectives of interest to the Red Meat Industry, such as the granting of bursaries for the purpose of furthering education relating to the Red Meat Industry and the benefitting of the Red Meat Industry in general and also the the promotion of livestock welfare. Since 1998, between R1 million and R2 million was allocated annually to R & D projects. From the 1930’s the organised Red Meat Industry in South Africa contributed financially to Research and Development (R & D). Contributions to Research and Development (R&D) were made by the Meat Board throughout its existence during the decades prior to the 90’s. Various individual organisations like Cattle Breeders’ Associations, SAMIC (South African Meat Industry Company) and others contributed to red meat research at that time. The Meat Industry Trust (MIT) was established in 1996, through the initiative of the Meat Board’s members. This was in preparation for the envisaged closing of the Meat Board in accordance with the amendment of the Marketing of Agricultural Products Act no 47 of 1996. The Meat Board donated R15 million and some assets to the Trust. The MIT is a perpetual discretionary Trust and accordingly is entitled to fund various objectives of interest to the red meat industry, such as the granting of bursaries for the purpose of furthering education relating to the red meat industry and to the benefit of the red meat industry in general, and also includes the promotion of livestock welfare. The MIT is overseen by a Board of Trustees, 3 members are nominated by the Minister of Agriculture and three are red meat industry nominated. allocation has to be limited within the context of perpetuity, i.e. funds cannot be depleted in such a manner that the continued viability of the Trust is at risk. The trustees may, periodically decide, within the ambit of the provisions of the clause, to provide funds to benefit the red meat industry by whatever lawful means, using their discretion. The RMRDT does not perform research but outsources the task to recognised Research Institutions. Institutes like the ARC (Agricultural Research Council), Universities and Provincial Departments of Agriculture. Execute numerous research projects, many leading to postgraduate qualifications of research personnel.